YES. IT IS REAL AND AVAILABLE. D.R. HORTON CONTEMPORARY 4 BEDROOM 3.5 BATHROOM HOME ON A CORNER LOT .32 ACRE. ENORMOUS FIRST OF 2 MASTER BEDROOMS AND BATH.HAS A JETTED TUB, WALK-IN CLOSET, FIREPLACE AND BALCONY. COMMON AREA IN ENTRY WAY AND FAMILY ROOM ARE SEPARATED BY DINING AREA AND KITCHEN WITH KITCHEN NOOK. TONS OF STORAGE. REFRIGERATED/HEAT DUAL CONTROL FOR SPLIT LEVEL. ESTABLISHED SCHOOLS, PARKS, AND TRAILS ARE AVAILABLE. BEAUTIFUL SONOMA RANCH GOLF COURSE COMMUNITY JUST MINUTES FROM NM STATE UNIVERSITY, HOSPITALS, INTERSTATE 25, RESTAURANTS AND SHOPPING. INCLUDES HWA 13 MONTH HOME WARRANTY $390. HOA CURRENTLY $125 A YEAR. 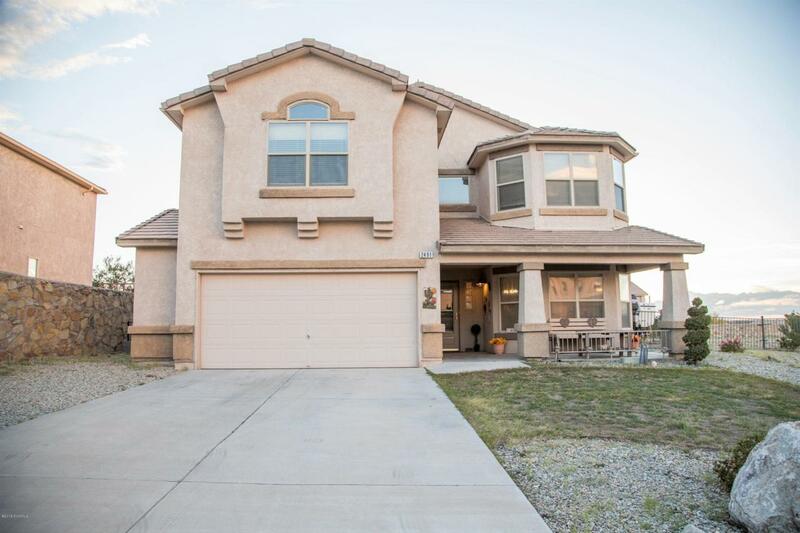 Listing provided courtesy of Elias Elizaldez of Exit Realty Horizons: (575) 532-5678. All listing information was provided by Southern New Mexico Multiple Listing Service.